A pilgrimage to Brimfield—the country’s largest antique fair—is de rigueur for every designer, stylist, and just about anyone with a soft spot for the old, weird, and wonderful. But if you can’t join the 250,000 devotees in Massachusetts this year, we rolled up our sleeves and did some digging (of the Instagram variety) for you. From tortoiseshells turned vases to barbells arranged so beautifully you’d swear they were modern art, here are ten of the most beautiful tableaus from Brimfield. 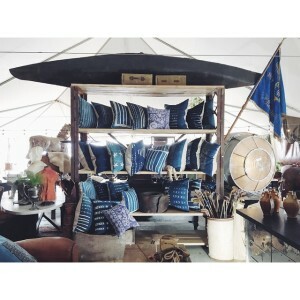 The post The Best of Brimfield: Enviable Instagrams from the Country’s Largest Flea Market appeared first on Vogue.